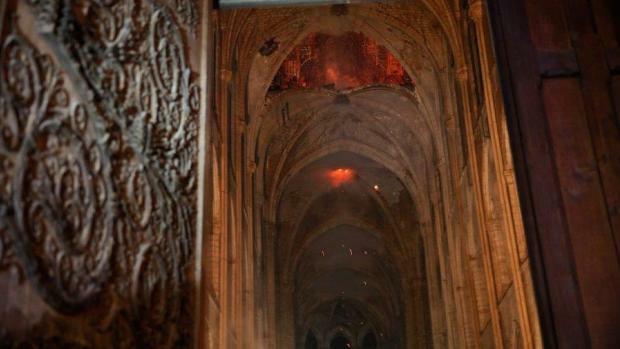 First images have started to emerge of the damage inside the Notre Dame Cathedral in the heart of Paris after Monday's devastating fire. 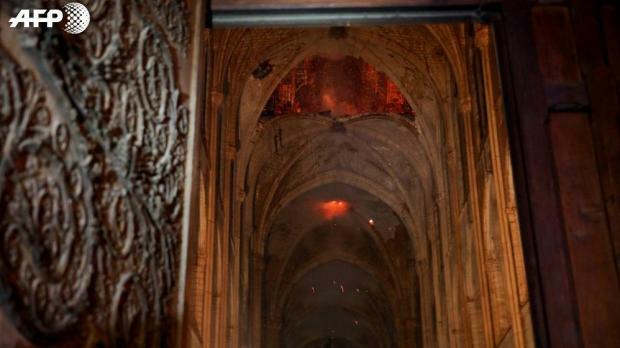 Authorities said early Tuesday that the fire was now controlled and the iconic bell towers at the front appeared to be safe. However the rest of the structure appeared complete, including many of the well-known vaults soaring to the ceiling. 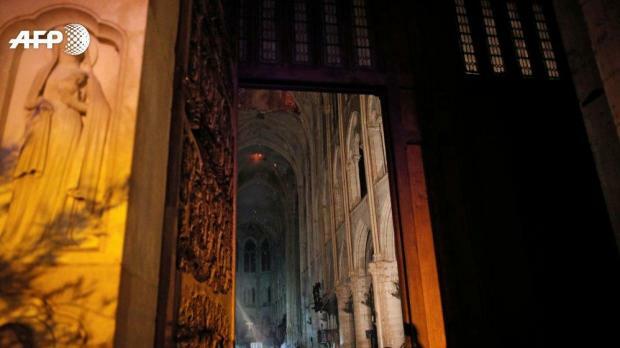 Junior interior minister Laurent Nunez said "some weaknesses" had been identified particularly in the vault and the gable of the northern transept, which have to be secured. The Holy Crown of Thorns and a sacred tunic worn by 13th-century French king Louis, two irreplaceable artefacts, had been rescued, the cathedral rector Patrick Chauvet said. 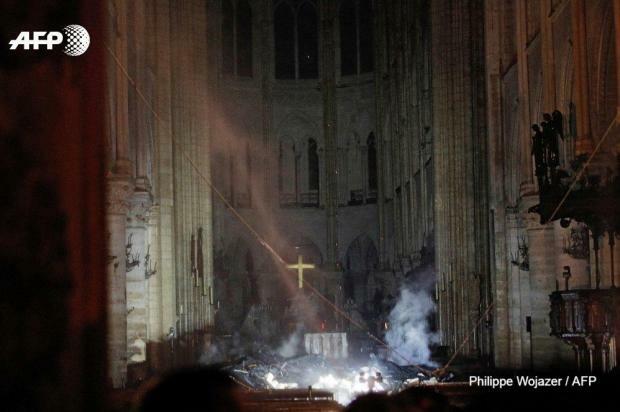 The big cross at the main altar survived. The recently restored 8,000 pipe, five-keyboard organ, is believed to have survived, as have at least two of the three famous Rose Windows – huge round stained-glass windows over the cathedral's three main portals that date back to the 13th century. 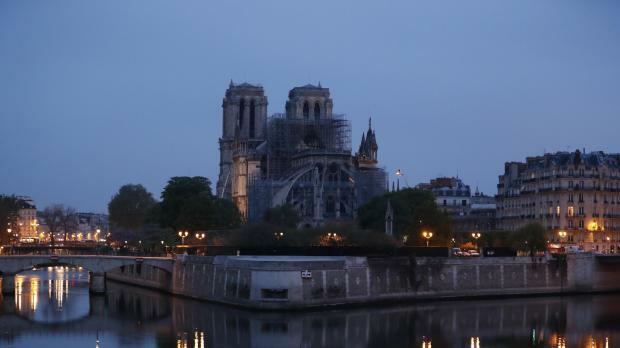 French President Emmanuel Macron vowed to rebuild the cathedral in Paris. Macron expressed relief that "the worst had been avoided" as the blaze had at one point threatened the entire edifice. The structure of Notre Dame, without the spire, early on Tuesday. The cathedral was located at the centre of the French capital in the Middle Ages and its construction was completed in 1345 after some 200 years of work.